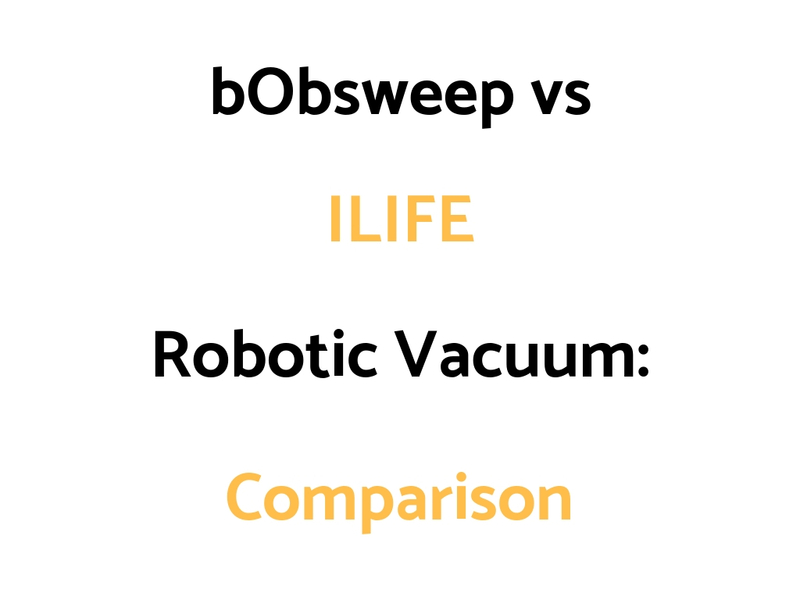 bObsweep and ILIFE have a few different models in their robotic vacuum ranges. We’ve put together a bObsweep vs ILIFE Comparison Guide outlining the differences and similarities of their most popular or latest models. The V Range are not smartphone app controlled or Alexa voice activated. They are controlled with a hand remote or push button. The V8s is the most advanced model, then the V7s, then the V5s, followed by the V3s Pro which is the most basic. The V3s Pro is a robo vac only. The V5s Pro is a robo vac and spot mop, with a more advanced Max motor. The V7s Pro is a robo vac and spot mop, which has smart dust bin technology. And, the V8s has LCD front display/button technology, along with bigger water and dust containers. Overall, we would say the V3s Pro probably offers the best value for money when you look at it’s price and performance. It’s basic, but it’s quite affordable. We would say to look at the iRobot Roomba 690, 890, 960 and 980 models before you buy the ILIFE robo vacs. iRobot make some high quality/good value robo vacs which you can compare to these ILIFE models. One of the good things about the iRobot Roombas is the latest models are able to be controlled by an App, and are Smart Home Connected to Google Assistant and Alexa. The A4s and A6 are the more basic and affordable models. These are the ones to look at if a lower price is your preference. The A7 and A8 are more advanced with the A7 being app controlled, and the A8 having advanced room mapping and cleaning capability. The ILIFE V3S we think provides pretty good value as affordable robotic vacuums with good performance. Both the bObsweep models and the V3S provide good value for robo vacs. The iRobot Roomba 690, 890, and 960 and 980 models are worth a look as higher price robo vacs, as well as the Neato Connected Series (D3 through to D7).